Here is, what all of you been waiting for: the VeriPhone order date. Verizon has sent out emails to their existing customers who are on contract and updated the iPhone information page to confirm the date that that their existing customers will be able to order the iPhone 4. 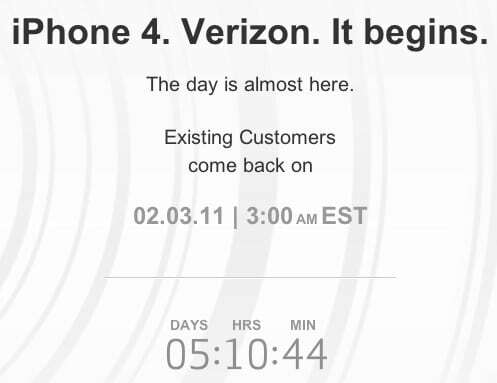 If you’re an existing Verizon customer you will be able to order the iPhone 4 beginning at 3:00 AM Eastern time on February 3rd.